In 17th century London, a “black swan” was a phrase that was equated with an impossibility. For Europeans at the time, the idea of anything other than a white swan was preposterous. Yet, it was in 1697 that Willem de Vlamingh, a Dutch sea captain for the Dutch East India Company, discovered the black swan, Cygnus atratus while exploring the coastlines of western Australia. Upon Vlamingh’s discovery, the black swan meant that something presumed to be an absolutely certain impossibility could be proven false. It is this logical fallacy that Mill points out as being a falsification. One cannot make the universal statement, “All swans are white.” For one thing, you’d have to look at every swan on Earth to be sure you were correct. The statement regarding the homogeneous color of swans is testable, which is to say falsifiable; it can be invalidated by a single counterexample — which the Dutch explorer found by luck. The problem of induction is just this: Does inductive reasoning, in which one’s premises are viewed as supplying evidence for truth, lead to knowledge? 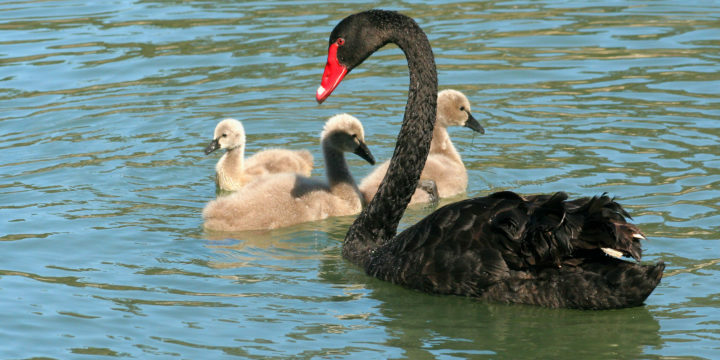 For induction is, basically, the act of generalizing: “Well, I’ve never seen a black swan, so how could they exist? All the swans I’ve seen are white; therefore, they must all be white.” This is what we call probability. What does this have to do with enrollment management and enrollment management prediction? Historical data is, in essence, a series of observations from which admissions personnel might infer a new claim. Last year, you might say, students who visited campus were more likely to apply. Maybe this data goes back three years, and each year proves — or seems to prove, at any rate — that this is a dependable observation. So one allocates financial aid, sets the admissions numbers, and sits back and waits for the visit, and … there is a sudden spike in visits. The admissions office was left wholly unprepared. Perhaps they had already been admitting students, and now faced overfilling their class. Perhaps the allocation of student aid was suddenly inadequate. Author Nassim Nicholas Taleb introduces this idea in his book Fooled by Randomness and develops it further in The Black Swan. A statistician, former trader, risk analyst and cranky philosopher of sorts, Taleb attacks the idea that we can predict the future at all. On the trading floor, assuming that the future will match the patterns of the past has led to big crashes. In college admissions, these assumptions lead to bad predictions on which students will fit your profile. With Envision, the enrollment management prediction tool of Capture Higher Ed, we endeavor to avoid the fallacy of induction in favor of a more sophisticated approach. By way of example, some companies might intuitively suggest a small number of points on which to base a prediction: GPA, zip code, intended major and so on. They most likely will choose these factors because they seem to “make sense” — an induction. Capture goes a step beyond that; actually, it goes thousands of steps beyond that, using thousands of data points tested against one another to create a model much more precise. And while it is highly unlikely that we get it exactly right — there are many factors that go through a student’s mind, and also factors in the college, the state, and the world that vary year to year — we draw far closer to a more reasonable model. We get closer, that is, to the bullseye — and closer makes all the difference, especially when it comes to allocating tight funding for communications and, ultimately, securing enrollments. This is what Envision offers.